As soon as you walk into a hair or nail salon, you’ll almost always notice a characteristic smell. The smell is that of chemicals commonly used in the products that both of these places work with on a daily basis. From the shampoo to the dyes to the nail polish remover and artificial nails, all of these come from chemicals that are largely unregulated. 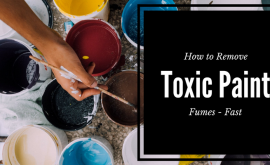 While they may be getting the job done when it comes to your hair or nails, these substances are emitting fumes into the air that can affect the health of both the customers and workers in the salon. Many products used in hair salons contain active chemicals and other dangerous, volatile organic compounds (VOC’s) that can make us sick when we get exposed from them. These chemicals can contribute both to relatively minor reactions for those with chemical sensitivities, to life-threatening ones, as many of the classified chemicals used as potential carcinogens. 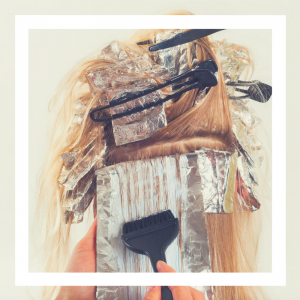 The danger is there for anyone who walks into the salon but amplified for the hairdressers and other workers there who spend the majority of their time around these fumes. Studies have shown that people who work in hair salons have a much greater risk of developing certain diseases and types of cancer. Some diseases prevalent among hairdressers are breast cancer, leukemia, and myeloma. It’s becoming clear that indoor air pollution is a much bigger problem than outdoor air pollution. 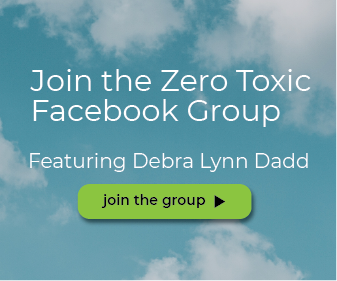 Even in our homes, the air quality can be up to ten times worse inside than it’s in our backyard. This problem is largely in part to the increasing number of chemicals used in the home, whether for cleaning, air freshening, or other purposes. If our homes have gotten that wrong, because of relatively small amounts of chemicals we use, you can imagine the concentration of chemicals and the level of pollution inside salons presents a much more dangerous situation. Just as in our homes, where we have begun to use more potent human-made chemicals, salons are always testing out new products that are supposedly more efficient. The way these chemicals affect us, or how they affect us when they react with each other, has been for the most part untested. Unfortunately, much of the severe damage done by exposure to these chemicals may not present itself until it’s too late. 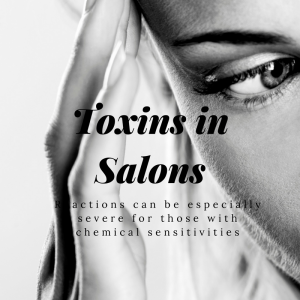 Although hairdressers may wear masks, or offer covers to their customers, this precaution is no match for the laundry list of toxins present in nail salons. Common poisonous chemicals found there include ammonia, sodium hydroxide, and even formaldehyde. Phenylenediamine, or PPD, is another chemical that’s common in hair dyes that can cause organ damage. Short-term dangers of exposure to all of these chemicals include asthma and allergy-like symptoms like itchy eyes and sore throat. Reactions can be especially severe for those with chemical sensitivities. Over a relatively short amount of time, exposure can also cause reproductive health issues and well as neurological problems. Many people who work in nail salons report frequent headaches, fatigue, and a general feeling of being unwell. Is nail polish remover toxic? Nail salons can be just as bad, if not worse, as hair salons when it comes to potential health hazards. Many of the chemicals that are used in nail salons are toxic. These pose a risk for customers who occasionally enter the salon and have their nails done, but is especially dangerous for the employees there who are exposed to the chemicals and fumes day after day. 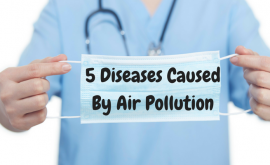 Exposure to airborne toxins and VOC’s at all is not good, but the more consistently someone is around them and breathing them in, the greater the chance of having health problems. They have a cumulative effect, and many nail salon workers work 5 or 6 days a week for longer than 8 hours a shift. That’s a significant amount of time to be exposed to such a toxic indoor environment, and many suffer the consequences either immediately or later on. The list of chemicals typically used in nail salons is long, but there are quite a few standard ingredients that you can find in products in the majority of nail salons. Some of the most potent substances are those used to remove nail polish or artificial nails. Nail polish removal contains straight acetone, which can cause immediate headaches, sore throat, itchy eyes, or other allergy symptoms directly upon exposure. 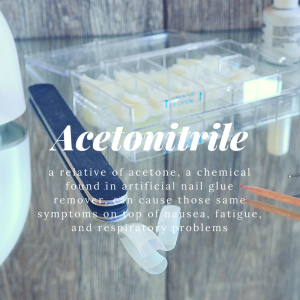 Acetonitrile, a relative of acetone, a chemical found in artificial nail glue remover, can cause those same symptoms on top of nausea, fatigue, and respiratory problems. Ethyl acetate and ethyl methacrylate, found in nail polish remover and artificial nail liquid, can cause asthma, skin rashes, and congenital disabilities for those who are around it during pregnancy. Formaldehyde, a known carcinogen, is found in many typical nail polishes and removers. Many other toxins are present in traditional nail salon products and can cause a whole host of health problems similar to these or worse. Some states banned some of these chemicals. For example, methyl methacrylate (MMA), which is useful in many artificial nail products, is now not permitted to be employed in Arizona and several other states. Unfortunately, however, many provinces don’t have much regulation at all regarding these products. Few studies have been conducted to understand how they affect the body, and those that have done it before, don’t look at how the different chemicals present may react with each other. Even if people have known how chemicals react together or what danger they pose, such as is the case with toluene, formaldehyde, and dibutyl phthalate (referred to as the toxic trio), they’te continued to be useful in salons. Workers in both hair and nail salons should pay attention to their bodies and report on any new health concerns they believe are being caused by exposure from these chemicals. They should also take the time to educate themselves on what’s utilized in the salon by referring to the Safety Data Sheets (SDS) that should be present on site wherever they use these chemicals. This information can be a resource for how to handle exposure to these chemicals and what to do in case of an emergency. Many of these chemicals can cause chronic health problems but can cause life-threating damage if accidentally swallowed or inhaled in high concentrations. It’s clear that toxins aren’t leaving hair and nail salons anytime soon, despite the fact that we now know how dangerous many of them can be. Even when toxic chemicals have already been in use for a while at a salon, it’s still possible to mitigate and remove them. As mentioned previously, salons should have a Safety Data Sheet with information about each chemical present. This requirement is for chemicals that contain a hazardous substance at or above 1.0% that can potentially be released into the air. At the very least, salon owners and employees should use these to educate themselves on how to handle the chemicals properly. As in any indoor environment, ventilation is key to reducing the concentration of toxins present in the air. 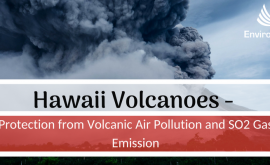 Ventilation filters the number of toxins present by introducing cleaner outdoor air, and carrying some of the harmful chemicals outside of the building. Opened Windows and doors whenever possible to ensure proper ventilation. The salon should also have an exhaust system which draws out bad air and pushes it out of the salon. Also, whenever possible the salon should be sure to use products that don’t mix harmful toxins together, such as the “toxic trio.” Some products now are being made that are labeled “toxic trio free.” Products such as these should be a top choice over those that are known to contain hazardous chemical combinations. The single best way to remove harmful chemicals and VOC’s from salons is through the use of a high-quality air purifier system In cases like salons where the concentration of these substances is exceptionally high, a standard filter in an HVAC system may not get the job done. Many filters merely trap and then recycle harmful chemicals into the air. Most don’t do anything to trap and neutralize the chemicals once the filter catches them. The EnviroKlenz HVAC Filter is a state of the art HVAC filter that fits right into a business existing HVAC system. It uses proprietary earth mineral technology, not only to catch that react to the VOC’s that it comes into contact, neutralizes the chemical odors, and removes them from the environment without releasing any chemicals back into the environment. Both Customer & Workers in a salon will benefit from being an environment with less concentration of VOC exposure and will be less suitable to the environmental triggers commonly found in nail and hair salons. 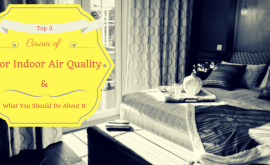 Maintaining good indoor air quality can be a challenge, and even more so if you run a business where the clients and staff are working in conditions with chemical based products. Air quality and indoor comfort can be achieved when all the systems and products are working together to achieve the desired outcome. 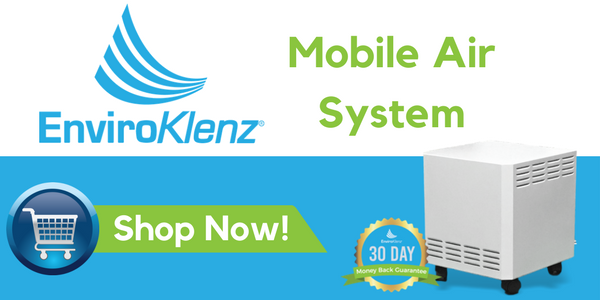 Our EnviroKlenz Mobile system helps facilities with multiple aspects of air quality. Since air quality really is a function of everything in our environment, our products and systems were designed with that in mind. To begin to tackle the odors and air quality, one must first understand what the source is and how it is moving through the environment. 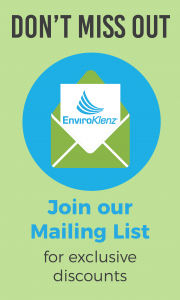 Our EnviroKlenz Mobile Air System can be used independently or in conjunction with the EnviroKlenz HVAC filter to remove chemical and odor pollutants from the air. 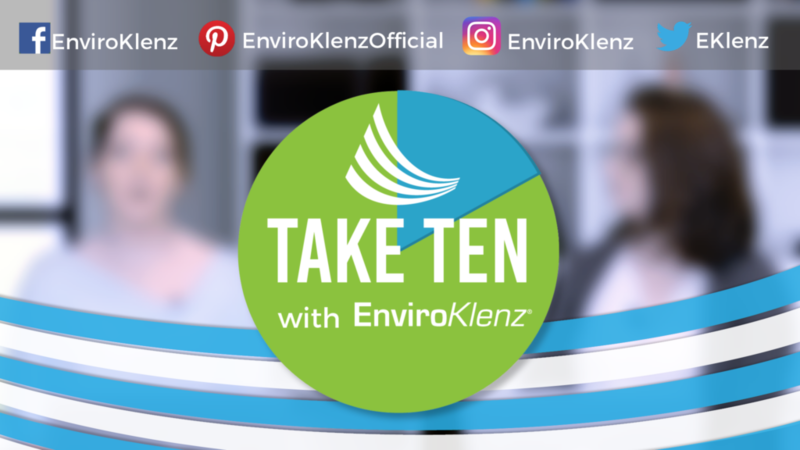 The EnviroKlenz Mobile Air System is our most popular product for eliminating and or controlling odors in enclosed environments. The EnviroKlenz Mobile Air System can be turned on to capture the odors while they are being created, but the system can also be deployed to “maintain the air” through constant and continual use. 1. 30 m2 room (323 square feet): For this room, 1 EnviroKlenz System with a HEPA filter and EnviroKlenz Cartridge should provide adequate reduction in chemical odors. It should be noted that as the odors are created they will diffuse out into the room and facility, but the EnviroKlenz system will speed up the removal of the odors and a reduction in overall concentration will be observed. 2. 100 m2 room : For this larger room, 1 EnviroKlenz System with a HEPA filter and EnviroKlenz Cartridge should be deployed provide adequate reduction in chemical odors. It should be noted that as the odors are created they will diffuse out into the room and facility, but the EnviroKlenz system will speed up the removal of the odors and a reduction in overall concentration will be observed. The two units should be placed near the source of the odors or in a location near where they are used most frequently for best results.